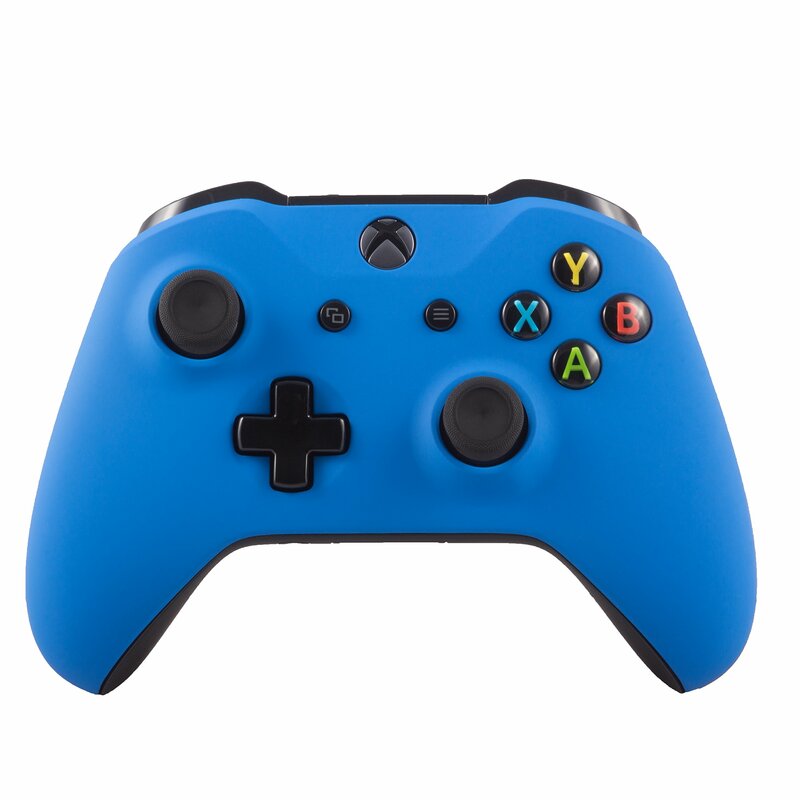 Microsoft Xbox One S custom soft touch controller in retail packaging. All controllers are taken apart for customization. We take a regular black controller, and open it up for assembly. AA Batteries are included in this purchase. 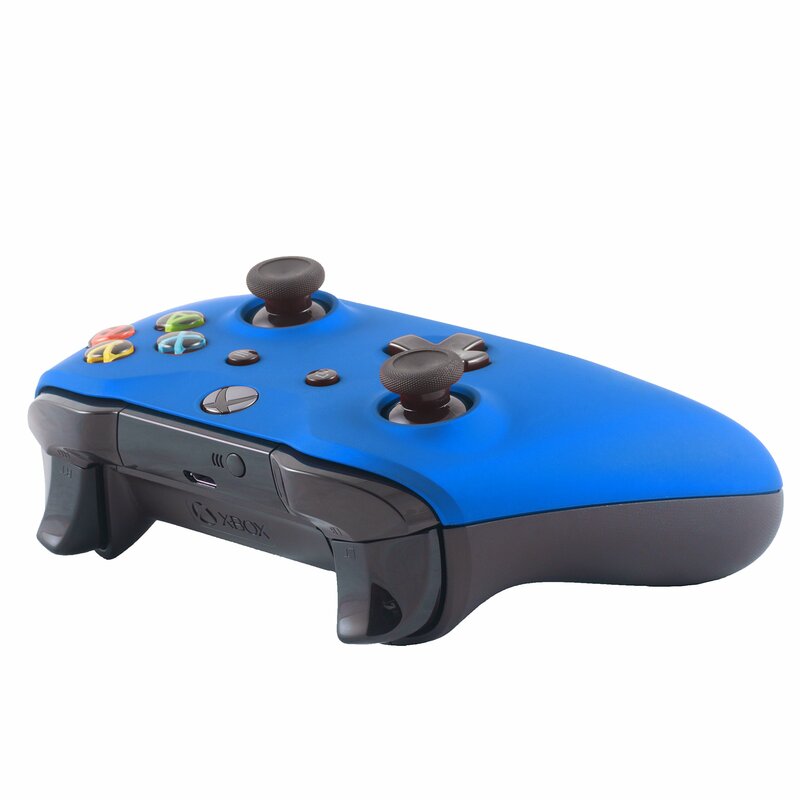 This controller features the newest Xbox One Controller Model. All of our controllers are assembled in the USA by our OC Gaming team. The soft touch customization has become very popular over the past year, so don't miss out! 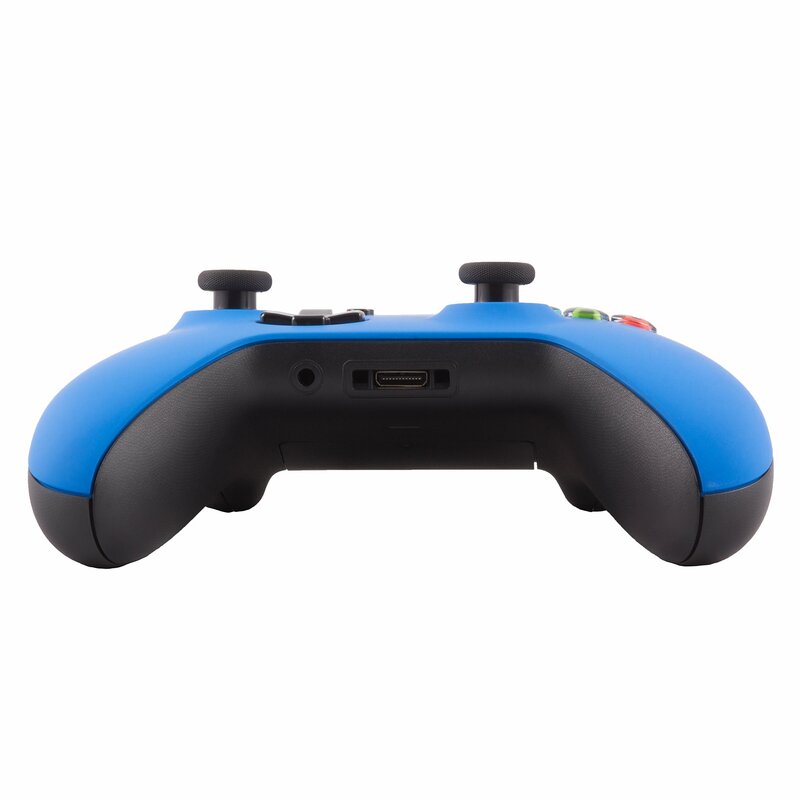 Customized soft touch blue, not only does it look good, it feels right, rubberized silicone "soft touch" feel.